Our Ethos and Mission Statement - Scoil Ursula N.S. The Ursuline education aims at the development of the pupil in a Spiritual, moral and intellectual way. Spiritual development of the children consists in teaching them the Christian faith and inspiring in them a love for God and a love and respect for each other. Moral development runs parallel to the spiritual development of the child. Religion :While the ethos of the school is essentially Catholic, the views of the minority religious and non-believers are accommodated and respected by teachers and pupils. Work : A positive climate is used to motivate the pupil. Every effort is made to enhance the child’s self image and to foster a friendly and supportive atmosphere, conducive to learning. Helping Others : Children are made aware of the needs of the under-privileged at home, and in the third World. They are encouraged to support local charities and the work of Concern, Trócaire, Gorta and “The Children helping Children” appeal. A special Mission Day is held annually, during the last term, to raise funds for the Ursuline Sisters in Kenya. 1. To promote the self esteem of all pupils by helping each child to make a contribution to the life of the school and to experience a sense of achievement and success. 2. To develop good staff/pupil and pupil/pupil relationships. 3. 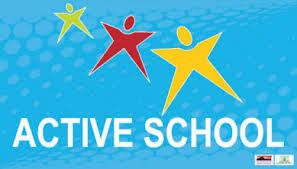 To develop good positive and productive school/family/community links. 4. To develop a stimulating and well-balanced Health Education curriculum for the whole school. 5. To utilise the services in the community for advice and support in health matters. 6. To ensure that all pupils acquire the basic skills of language and maths to cope successfully with everyday living. 7. To teach children the skills involved in coping successfully with human relationships. 8. To inform the children on such matters as hygiene, diet and exercise. To learn more about the wonderful work of the Ursuline Order in Ireland and in other countries please click here. Scoil Ursula is a Catholic, co-educational primary school with an Ursuline philosophy and ethos, which strives to provide a well-ordered, caring, happy, safe and supportive environment where the intellectual, spiritual, moral, cultural and physical development of the children are provided for. Scoil Ursula is a school with a Catholic ethos, which promotes an atmosphere where difference is respected and it welcomes children of all religions and none. Scoil Ursula does not discriminate on the grounds of gender, age, race, disability, marital status, family status, sexual orientation or against members of the Travelling Community when enrolling pupils or appointing staff. Scoil Ursula uses a positive climate to motivate its pupils. Every effort is made to enhance the self-image of all pupils and promote in them a respect for people, property and environment. Scoil Ursula encourages the involvement of parents through home / school contacts. Scoil Ursula strives to promote the professional and personal development of its teachers. Scoil Ursula promotes gender equality among its teachers and pupils. Scoil Ursula endorses the principles of inclusion of pupils with Special Needs as per Education of Persons with Disabilities Act, 2003. Déanann Scoil Ursula, iarracht an Gaeilge a chothú mar teanga beo na scoile.